But the best thing is that it will only cost you 8$ using the basic Arduino UNO, or 12$ using a more powerful Arduino MEGA. Yes, just 8$!!!! 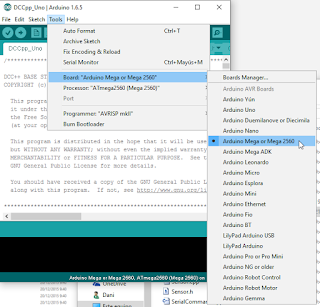 I suggest you to use Arduino MEGA in view of future expansions I want to implement, like a Loconet bus or the possibility to work in digital and analog mode. Don't be afraid about the difficulty to mount the system, you DON'T NEED to solder anything, just plug, upload the program, and run!!! Arduino MEGA: It can be found in ebay for 8$, I bought it here. Arduino UNO is also suitable, but I prefer a MEGA board as it is faster and more expandable. Arduino Motor Shield R3: It will not cost you more that 5$ in ebay, here is where I bought mine. 12 Vcc power supply: I use a power source from an old computer (yellow and black wires provide 12Vcc), but any power source with at least 2Amp can be used. For H0 scale, is better a 15Vcc power source, but for N scale 12Vcc is enough. Base Station DCC++: This is the software or firmware/sketch we will upload into Arduino board using the previous Arduino IDE. Just download and extract it in any folder in your computer. It can be downloaded from DCC++ page or directly clicking here. JMRI: This is the program that "talks" to the command station and allows you to drive trains, move switches, program decoders, ... I plan to change the DCC++ command station protocol to make it more standard and be able to use also other software like Rocrail, but for now it must be used with JMRI. Download this software from http://jmri.sourceforge.net/download/index.shtml and install it. Under "Production Release" section of this page there are JMRI versions for Windows, Linux and Mac OS. This is a very good software, and freeware, and many times I use it to program decoders better than other software. Now you can plug the motor shield board on top of Arduino. 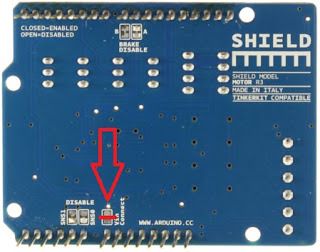 There is only one position how the motor shield fits on top, and pins are numbered in both boards, so just make sure pin 0 of the motor shield is connected to pin 0 of Arduino board. Connect your 12Vcc power source to the screw terminals of the motor shield. Positive is connected to the screw terminal "VIN", and ground to "GND". In the same screw terminal block, "A+" and "A-" are connected to your main track, and "B+" and "B-" to the programming track. Connect Arduino to the PC with a USB cable. Probably your Arduino already came with it. Your PC should recognize then a new serial port. Now we will upload the firmware (or sketch in Arduino terms) to the board. 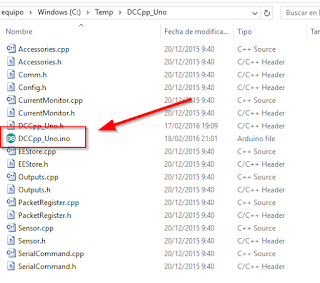 Go to the folder where you extracted the Base Station DCC++. Inside the "DCCpp_Uno" folder double click the file named "DCCpp_Uno.ino". Even more, Rocrail has a special slot management with passive slot purge after 30 seconds idle and speed zero and it is compatible also with the Ethernet connection of DCC++ command station. Enjoy it, now you have the best price/quality relation command station!!!! Just an update, now Rocrail also supports this command station with protocol "dccpp"!!!! Thanks......I have just purchased the Arduino Mega and Motor shield. I am in the process of building my Layout so it might be a while before I fire up the Command station. :)) One quick question which you might be able to answer; I want to install sensors on my track to determine when I operate a turnout, any recommendation which sensor works best. I know you mentioned the REED relay in one of your articles. Hi, I use current sensors for track as they don't need any modification in rolling stock like reed. GCA93 from Peter Giling is the best option in my opinion. For turnouts I use servo motors (I don't like solenoid switches), and I manage them with GCA136+GCA137, also from Peter. Those boards manage the servo motor, feed the turnout frog, and also send a signal to the software (like a sensor) to indicate the position and when is the turnout in movement. All those boards (GCA93, GCA136+GCA137) need to be connected to a GCA50 board if you are using Loconet. Soon I'll release a version of the DCC++ command station with my own modifications to be compatible with Loconet, so you can mount all the system in a Loconet bus and you can mix any command station or module if all them are Loconet compatible. 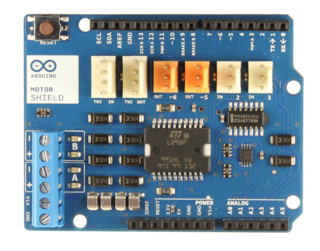 Are the Arduino boards (Mega and Motor Shield) LOCONET compatible. I have been reading about Loconet and it seems quite interesting. Any idea how much the Peter Gilling boards costs. Also, how can you control the turnout even though you have a train on the track.....Thanks in advance. Hello, no, they aren't. 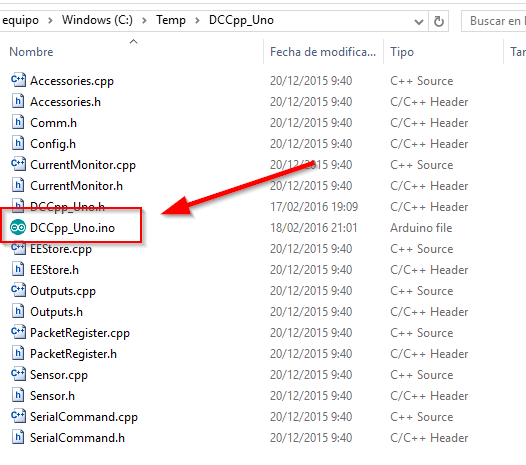 The original project from DCC++ has it's own interface and protocol to the PC though the USB connector of the Arduino board. But I'm changing it to make it compatible with Loconet, so you can add a Loconet Shield (GCA185) and becomes a command station compatible with any software. As soon as I finish it I'll write a post with all the detailed information. Dani, How much are the Peter Gilling boards. I was reading about the boards last night and it was not clear whether the boards can be purchased ready assembled? Also, regarding current sensing, how do you control the turn out to open or close if you have a train on the track. Sometimes you would want the train to move in a different direction. GCA185 (Loconet shield from Peter Giling) is 6,75€ board only, or 19€ board plus connectors and cable (not mounted). It's not possible to buy it already mounted, but soldering of components is extremely easy. Dani, do I need the GCA 185 board as well. You don't directly need it. You can manage the command station connecting it through the USB connector to the PC. Both Rocrail and JMRI are compatible. 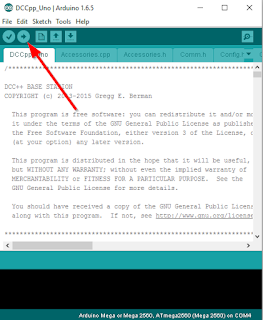 But if you add a Loconet Shield with the software I'm currently developing for Arduino, you can connect it to the Loconet Network and manage it through your current PC interface, being compatible with any soft. But this software is not yet finished, in some months I'll have Loconet shields and software ready. One correction: 12Vdc seems too low current for N scale, currently I'm using 15Vdc. With less voltage some sound decoders seem not to work. So am I to assume that these loconet boards, digitrax, canbus etc. That I can use a digitrax controller, nce controller etc while using the Arduino command station to control my trains? Hi, I intend using JMRI with DCC++ command station (Arduino). How can I interface multiple sensor inputs into JMRI without sacrificing an Arduino inout for every sensor input? Sorry Erik, but this would be a question better for the Arduino forum, there are different solutions for that. I know there are multiplexers to "multiply" the arduino pins, but I have no experience on that. Cheers! 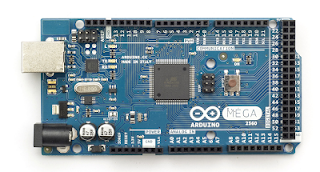 Hello, I bought the arduino and motorshield according the recommended websites and the trains are runnning! THanks! Only 1 question. When I connect a DCC sniffer, the sniffer won't see any command from the main track. Programming track all commands are shown. With a ORD-3 the sniffer see every DCC commmand. Can you help me out? I've got troubles with a Arcomora DCC decoder and I expect that it comes that the main track has "invalid" DCC signals. Hi! I'm not skilled enough to snif DCC packets and work at so low level.... but if trains are moving... means these packets are there! 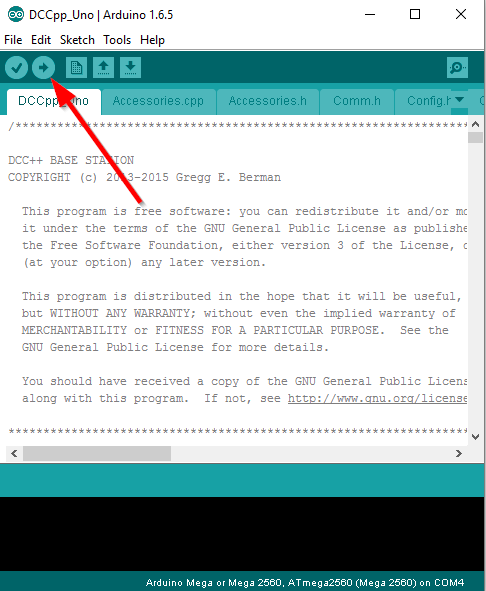 But if you see the DCC packets in the programming track, seems more to be a connection problem than a software or configuration problem. Ask me if I can help you in a better way. Cheers! HI there how would i go about adding analogue controls fro this rather than a laptop. Uno R3 and Motorshield lights are all on and working, but nobody's home :-(. Supply voltage is 15v, but A+ & A- and B+ & B- are only showing 0.05v.JMRI works with NCE (when enabled) and DCC++ looks like its working fine, but the loco just sits there. Any help appreciated.